This morning I planned to go out for six miles, but circumstances caused me to break the run into two parts. I've been trying to run at least 6 miles mid-week to reinforce my base. The news was reporting 40 MPH winds so I went with running pants and two top layers, including a heavier weight half-zip. It turned out that the winds weren't anywhere as bad as reported. I started off well and I was looking forward to covering my distance at a comfortable pace. 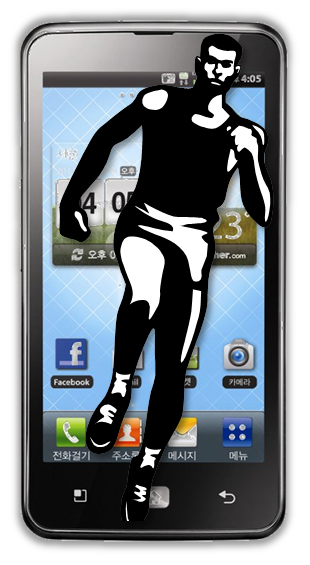 I was almost at my first mile when my cell phone rang. I always check to see who's calling, in case it's an emergency. I recognized the number as a big client, but I couldn't answer the phone in time. I listened to the voicemail and headed home to call them back. Although my run was interrupted, it was worth it. I'm keeping my consulting practice, but now I'll also be taking on a full time position. This will be the first time I'll be commuting to an outside office since I left my old company in 2013. I'm very excited about this new opportunity, but I am concerned about how it will affect my training over the next few weeks. 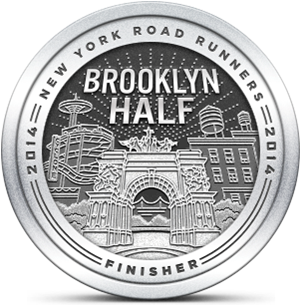 In order to be ready for the Brooklyn Half, I'll need to maintain my current mix of speed and base running. Once all the paperwork was signed, I went out to complete the balance of my run. In between the first and second part of today's run I had lunch and I wondered how I'd do running on full stomach. The weather had turned cloudy and it looked like it might rain. I was grateful that my distance dropped to five miles, since I'd already done a mile earlier in the day. There was more wind the second time I went out, but I appreciated it because I thought it might help simulate the effort needed to take on the first big hill at the Marcie Mazzola 5K on Sunday. I moved along fairly well, but the Garmin was showing paces that were at least 30 seconds slower than perceived effort. After calculating true distance, it turned out that I was running about 15 seconds per mile faster than what the display said. Overall, I met my distance target, although not all at once. I recently read that two-a-days are actually a good training strategy, but I can't remember why. I'm supposed to taper at some point for Sunday's race although I'm not sure I can afford to reduce volume at this point. Maybe I'll rest tomorrow and go long again on Friday. I'm impressed that you went back out to finish the run. Plenty of people wouldn't have. Congrats on the new job, as well!